Trunk or Treat was filled with laughter, lots of candy, and fun costumes. 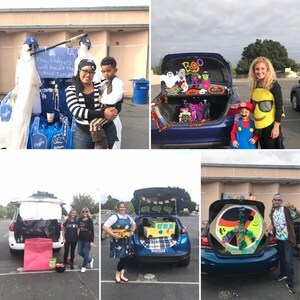 Teachers and staff members decorated their cars and had treats for the students. Thank you for all the candy donations. It was a Spooktacular Family Event.